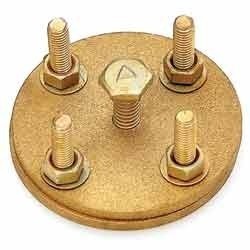 Used: Used for connecting flat copper taps to the rods in Horizontal line. 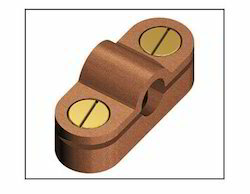 The Wide range of Shree Extrusions Ltd “U” bolt clamps can be used to connect flats taps and standard cables the earth rods, reinforcing bars (re-bar), hand rails and many more others. 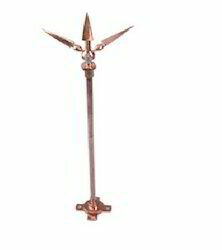 “Shree Extrusions Ltd” copper bonded earth rod are made from low carbon steel of grade BS 970 or AISI 1018 with a high tensile strength of atleast 600 N/mm2. 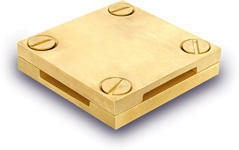 Low carbon steel core are molecularly bonded with 99.9% pure electrolytic copper. Perfectly bonded rod will lost longer, drive easier and will not crack. 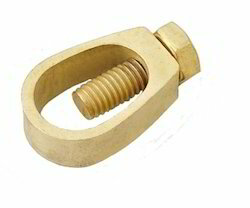 Corrosion resistance while providing tee lowest resistance to ground. Threads are rolled by roll threading process, which ensures that an when copper covers is maintained, wen at the root of the thread. Roll thread gives greater strength than cut thread. 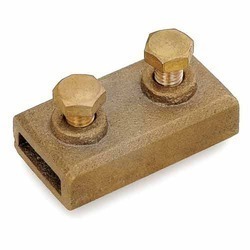 Used to create disconnecting joint between the down conductor system and earthing system. The Clamp can be used as Four way clamp. 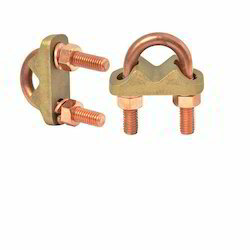 Material: Gunmetal / BrassUsage: Tap Junction clamp used for connecting copper tap to cable. 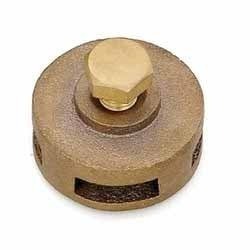 Usage: These are suitable for 4- way connectors are suitable for marking cross, straight through OR tee Joints in flat taps, the base has a countersunk hole in the middle of securing the clamp to the building surface and the lid is fixing by means of four screw. 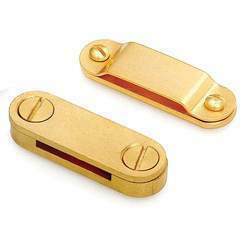 Material: GunmetalUsage: Used to create a disconnecting joint between the down conductor system and Earthing System.